Last year, I finally sat down and made the patterns for the soda bottle covers my family used to make and sell at craft fairs. 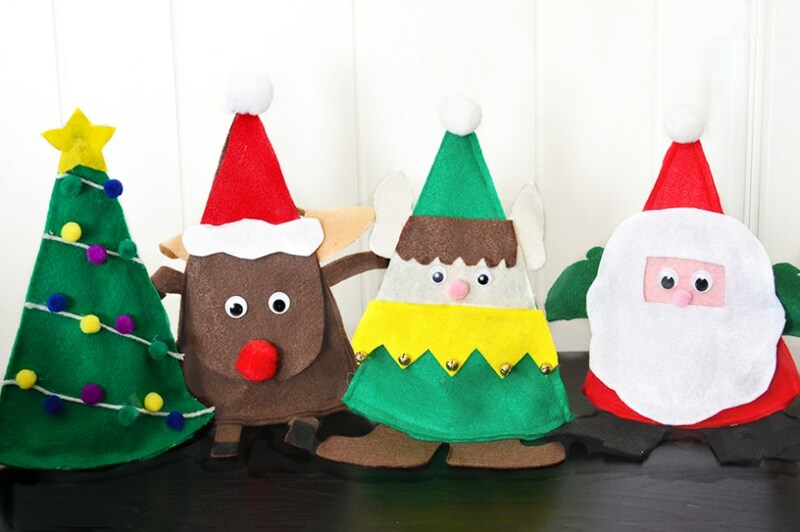 I did a reindeer, a Santa, and a tree. 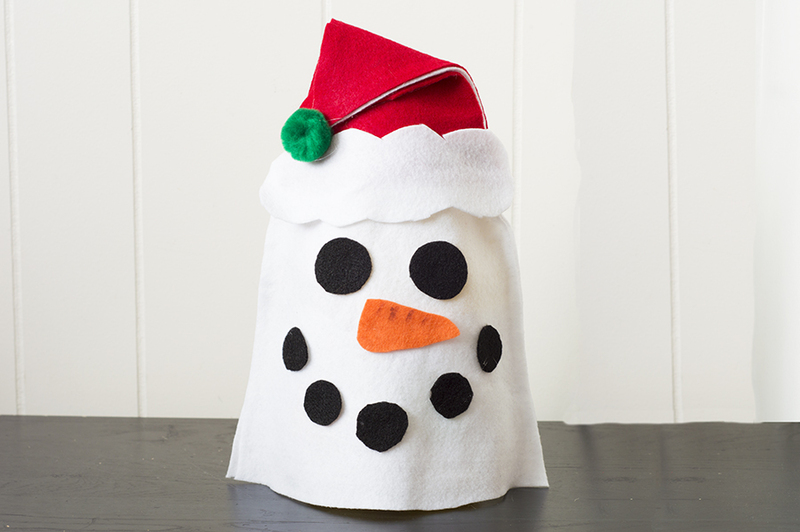 This year, we’re revisiting the whole soda bottle cover thing, but with a twist – this snowman design will work on both 2 liter soda bottles and smaller juice bottles. All you have to do is make a mini-adjustment to the hat. Using juice instead of soda makes this a pretty healthy gift. 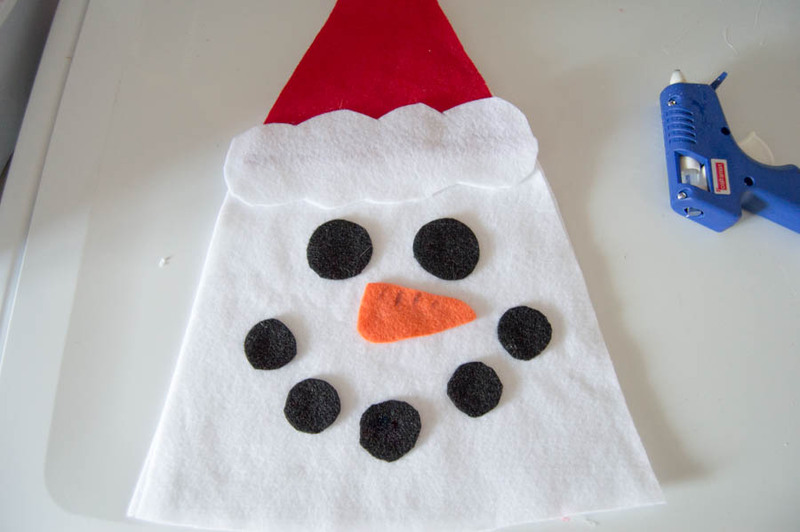 And the snowman is super easy to make, which makes this a great gift to throw together for families with kids. We attach little card with a Redbox code to some popcorn so we’re giving a family movie night for Christmas. Start by cutting out the bottom and top templates. 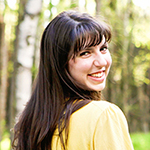 They’re designed to be taped together, overlapping at the dotted lines. 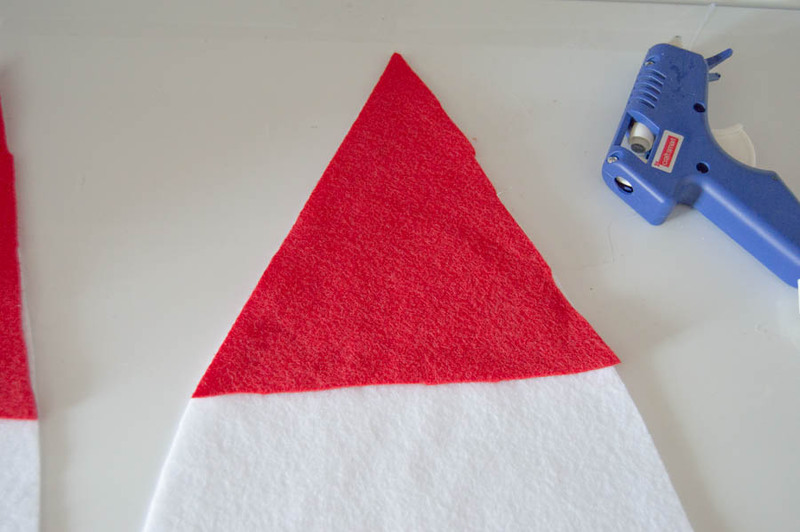 Once you’ve taped your template, use it to cut out two bases from white felt. Then, cut out two hats from the top part of the base template. 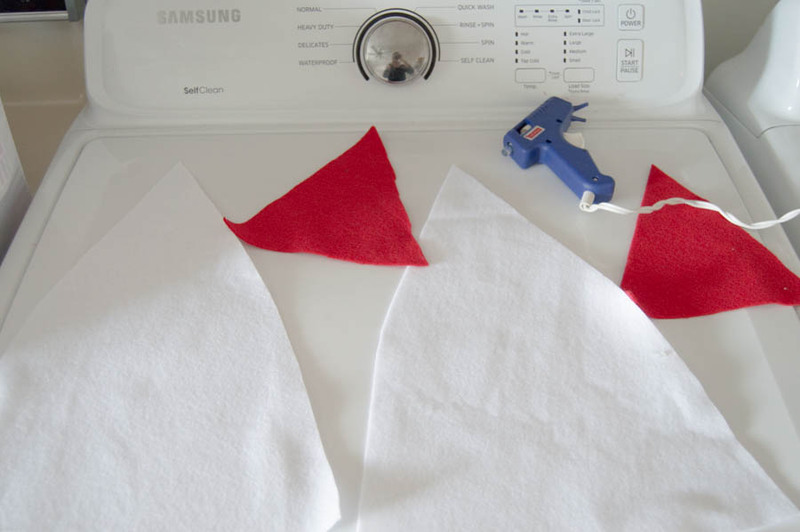 Hot glue the red hats to the top of the bases. Once you’ve got your bases ready, you’re going to glue them together on the sides to make a cone. Next, glue the hat bottom to the bottom of the hat (yes, I realize that is a very obvious sentence). This is also where you glue on the eyes, nose, and mouth. I added a few marker lines to the nose because I thought it looked more carrot-y. 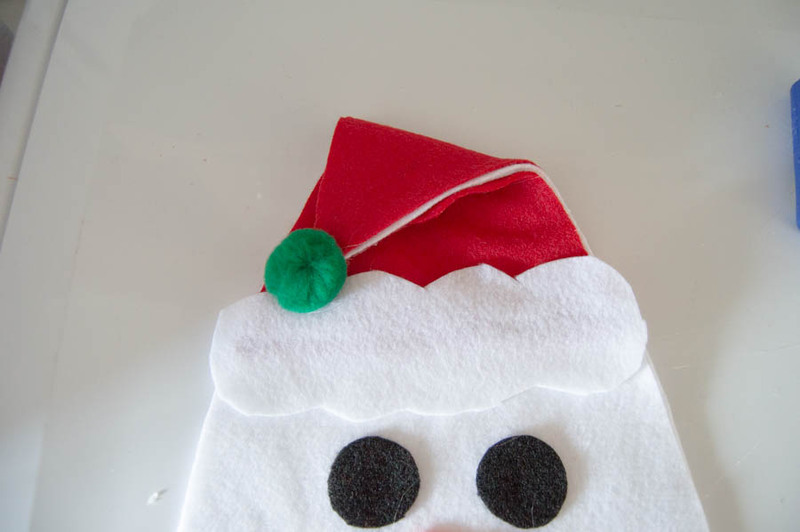 The last step is to fold over the hat, glue it, and then glue a pompom on the bottom. 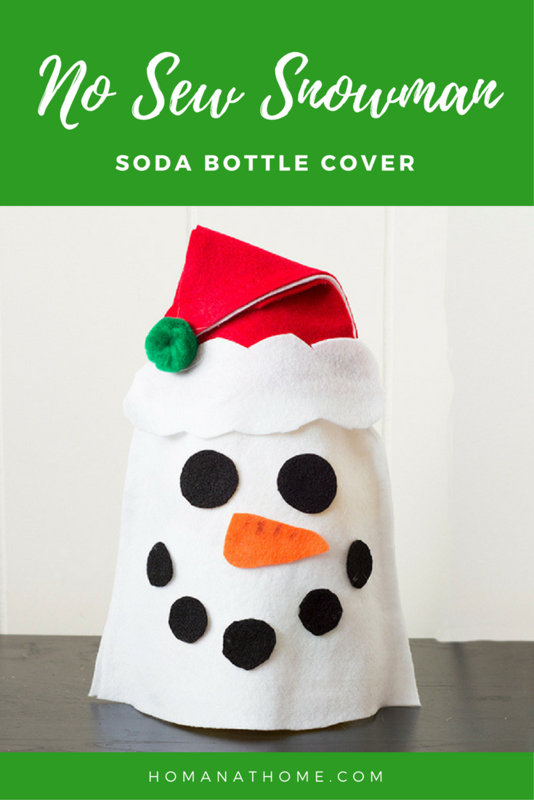 If you’re doing a soda bottle, just fold the hat over a little bit. 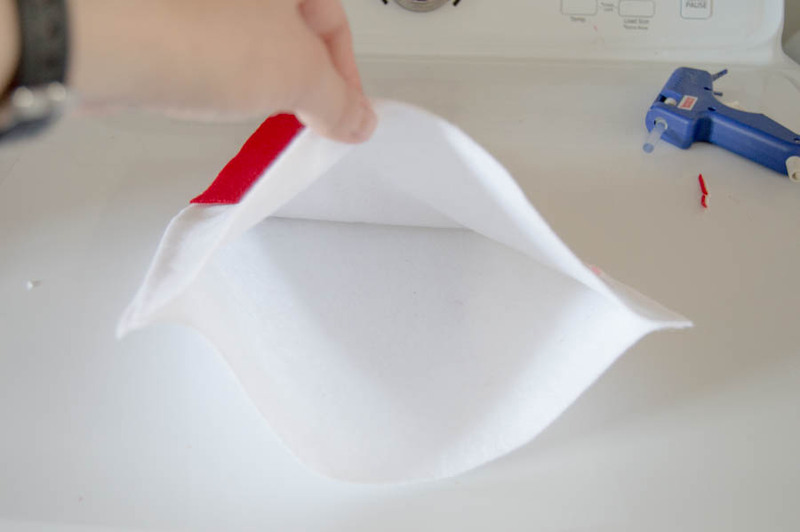 If you’re doing the juice, fold it all the way to the hat bottom. Now, just slide it over the bottle, and that’s that! 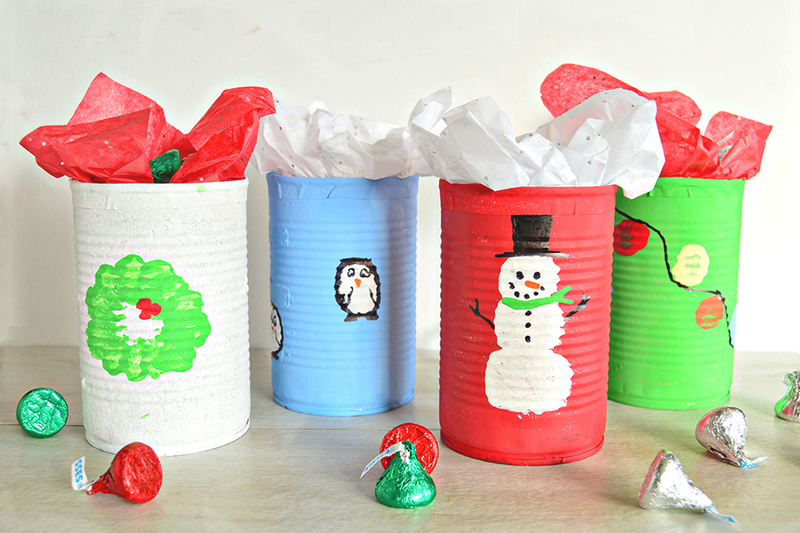 To package it as a gift, add a bag of popcorn, one of the printable cards (soda or juice), and a Redbox code. 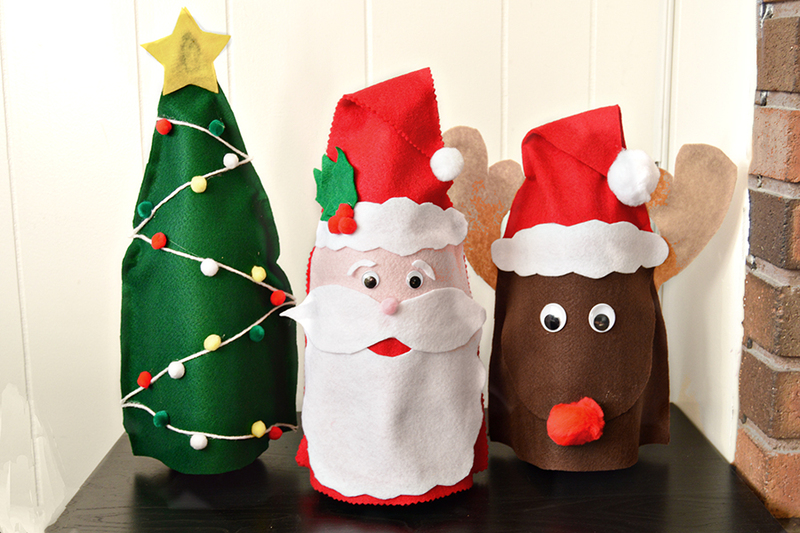 Looking for more fun Christmas ideas? Check these out!